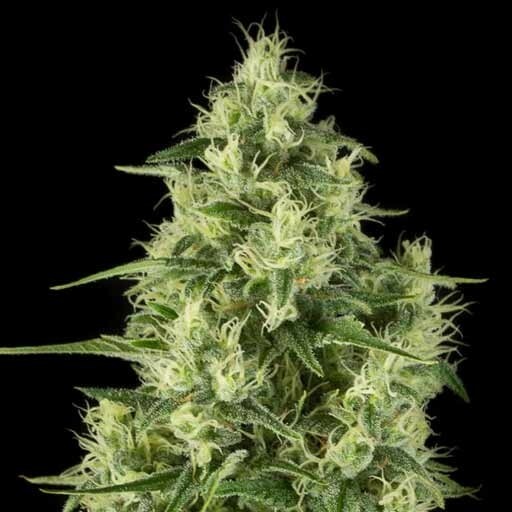 Santa Sativa is a classic in Dinafem's seed catalogue. 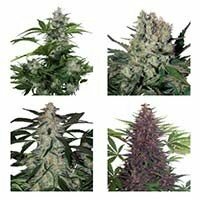 Santa Sativa is a crossing: Super Skunk x White Widow, with quick flowering time, good yields, and strong medical value, thanks to its high content of CBD. 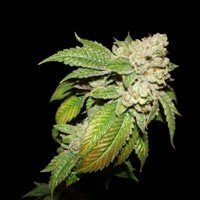 A recommended strain by its resin quality, and its capacity to solution all types of pain. SANTA SATIVA MobyDick’s sativa cousin is equally demanding in terms of light and feeding providing better a quality effect than its cousin, higher, more mental and not so heavy. It needs lots of zinc, iron, nitrogen, magnesium and a pH under 6.3, to avoid iron or zinc deficiencies. Well aired and warm soil is fundamental to avoid this kind of problem. It grows vigorously and quickly and needs quite a lot of space to grow properly. It adapts very well to SCROG and can easily be bent outdoors to limit its height. Predominant scents include wood and pine with a touch of spices, giving a strong smell after it has been cured; the THC level is very high, giving a strong and clear effect with a gentle somewhat physical comedown. Extremely powerful.